11 Mar 2019 --- Israeli food-tech start-up Inspecto has launched a device that aims to detect chemical contamination in food in real-time. The portable scanner device can detect contaminants at concentration levels as dictated by regulators, according to the company. One of the stand-out features of the device, which aims to promote transparency and traceability, is that produce and crops can be tested by anyone, eliminating the need for time-consuming and costly lab testing, notes Inspecto. “The device is applicable across the industry, from crops to finished goods. We are currently working with companies from both sides of the supply-chain. One uses our technology to detect contaminants in wheat and the other is using the technology for their final processed product. In terms of range, we've been approached by farmers, regulators, retailers and almost every profile you can think of in this industry so in principle the range is truly cross-industry,” he tells FoodIngredientsFirst. Click to EnlargeIn terms of cost, it varies according to the use case, Avidan says. A “pay-by-usage” principle applies. “One of the companies we’re working with needs to perform more than 100 tests per day so they can enjoy our minimum rate of US$9 per scan. Another needs to conduct fewer tests and therefore stands to pay a higher price,” he explains. This innovation comes at a time when technological advancements to improve food safety demonstrate increasing interest and potential. Examples include the launch of the IBM Food Trust platform, in November 2018 and SUKU, a blockchain-based ecosystem, aiming to make supply chains more efficient, transparent and collaborative by offering a supply-chain-as-a-service platform to enterprises. 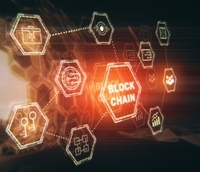 Moreover, Canadian companies Hamill Farms, Canada Malting Co., Red Shed Malting and Last Best Brewing & Distilling recently teamed up with technology provider TE-FOOD to deliver a new and engaging consumer experience through the use of blockchain technology. The device works by placing a sample of the product to be tested in a disposable capsule. The capsule is then inserted into the device, which is activated by the press of a button. The scanning process begins and within a few minutes, it assesses the sample according to the specific requirements set by the user. The result is a reliable, quantified measurement of the selected contaminant. The scan can be conducted indoors or outdoors, while the results, after being recorded, are analyzed and stored on an online database. This high-tech device seeks to fulfill the industry’s need to conduct more frequent testing at different points along the production line, with immediate results, the company says. “The biggest hurdle was to be able to learn how to magnify the specific fingerprint of the contaminant we were looking for. Each chemical substance behaves differently so we needed to find out what is the ideal way to ‘see’ it. Once we achieved that, from there the process was pretty straight forward,” Avidan says. The only limitation the company is currently facing touches on the stage of the development. “Because our technology is relatively young, it takes time to use it to develop specific applications for specific contaminants. We plan on raising a significant round size this year so we can accommodate these and others requests,” Avidan says. Established in 2016, Inspecto. seeks to “revolutionize the food industry by taking food contaminant testing out of the lab.” Reports on the discovery of high levels of contaminants in vegetables inspired the co-founders to seek a comprehensive, fast solution for detecting contaminants, according to the company. “This year the company is releasing the first device in collaboration with a number of leading food manufactures in Europe and the US and shortly after we will set out to raise enough money to scale up the company,” Avidan concludes.